$1 a day — Your Annual Membership gives you unlimited access to everything in our growing catalogue — an immense value. Our catalogue is the best arsenal for your deadly dance-floor club hits and available at your fingertips with instant download. 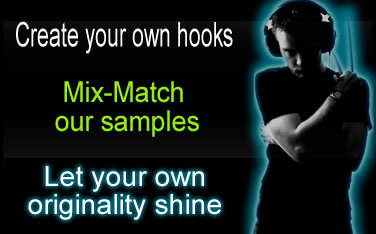 New samples added weekly keeping your content fresh! OUR $165 MIDNIGHT BLACK FRIDAY SALE - WAS A SUCCESS! For those who missed out we'll do this again! YOU CAN EARN $10 IN DOWNLOAD CREDITS FOR SUBMITTING YOUR TIP! Contribute to the world of Vocal Downloads by helping a newbie learn all about the world of vocal sample usage in music production. If you have any tips, tricks, tools or techniques, step up. We’d love to see them. YOU CAN EARN $25 IN DOWNLOAD CREDITS FOR SUBMITTING YOUR ARTICLE! Are you a writer or blogger? Are you a knowledge broker of anything musically unique? Can you expound on the details and make them cool? If so, we want to hear from you. Make yourself a part of the Vocal Downloads Street Team. Submit your article to info@vocaldownloads.com. If we choose your article and publish it on our site, you will receive $25.00 worth of Vocal Download credits for each article published. Our Loyalty Rewards program salutes all Pay-As-You-Go customers by adding Download Credits to your account each time you make a purchase on Vocal Downloads. Use your bonus Download Credits on a future purchase from our selection of samples, mini-packs and other products. Vocal Downloads wants to showcase you and your music to the world. We’re looking for Music Producers like you to feature on our site. Got what it takes? Submit the music you’ve created using our samples to info@vocaldownloads.com and we’ll let you know when we’re ready to put you in the limelight! Clearance free - you're automatically granted permission for unrestricted sample usage without the payment of any further fees. 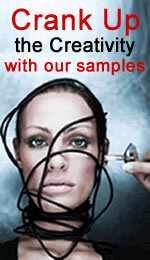 Hassle free - taking out the trouble or inconvenience when using our samples. One example is you don't have to give us credit on your music release. While it would be appreciated by the artists it is not required. o Release your music without paying future royalties to Vocal Downloads, even if your song is featured in film, game, etc. o Register your song with any performance rights organization, publisher, or anywhere else as the author so you receive all income. o When copywriting your music, list "Samples licensed for use" in section 6a of the US Copyright form. This is just a suggestion if you're worried about covering all legal bases. o If outside the US contact your copyright office.